Thank you to everyone who entered The Yearbook Committee giveaway. I really enjoyed hearing about everyone’s embarrassing high school memories 🙂 We’re lucky it does get better with age! Congratulations to the lucky winner, Marje, who blogs at Kyrosmagica. Happy reading, Marje! The Yearbook Committee is being described as this generation’s The Breakfast Club and I can see why! The setting for this novel takes place in a private school. Five Year 12 students are thrown together onto the yearbook committee and we get to read about their progress over the entire school year. The story is told from the perspective of each of the members of the yearbook committee who are all dealing with their own personal issues while they are completing their final year of high school. Despite the fact that almost none of them are on the committee by choice they gradually form friendships with each other and put together a pretty amazing yearbook. The Yearbook Committee tackles some serious issues. Bullying is a major theme, and it’s the kind of insidious, relentless gossip that is unfortunately far too common among females. It can be so difficult to pinpoint or deal with and I think Ayoub did a brilliant job of depicting it realistically. This kind of bullying has always been around in high schools (and some workplaces! ), but it can be so much worse when it moves online. The problem with the internet is that everything on it is permanent and public. So, unlike the pre-internet days when you could go home from school and it didn’t exist bullying now follows teenagers everywhere they go, even when they graduate! Apologies for the rant here, but it’s a subject dear to my Internet Communications geek heart. Getting back on topic, brilliant job by the author to raise such an important issue in the language that teenagers will pay attention to! This novel also tackles such issues as family and peer pressure, mental illness, self-esteem issues, gender stereotyping and questions about friendships, decency and life after school. And it is all presented in a non-preachy and brilliant story with interesting and well-developed characters that teenagers and YA fans will fall in love with. Bonus points from me because it was set in Sydney with many references to my hometown, Melbourne. And yes, Charlie should definitely visit Lord of the Fries when she goes to Melbourne for the weekend, but not with Pete because he’s a jerk! 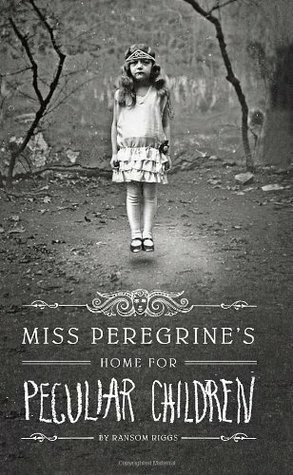 I have been meaning to get around to reading Miss Peregrine’s Home for Peculiar Children by Ransom Riggs for what seems like forever now. Well, I’ve been missing out for quite a while now because I really enjoyed it. Paranormal fantasy can be a bit hit or miss for me, but this novel had a lot more hits than misses. Jacob’s Grandfather has always told him fairy-tales, but these stories were a lot different from the usual run of the mill children’s stories. They were full of monsters and magical children who lived at a home run by Miss Peregrine that Grandpa lived at as a child when he lost his family from Nazi Germany. He even had photos to prove it. When Grandpa seems to be killed by the monsters from his stories Jacob travels to the isolated island in Wales to find Miss Peregrine and discover truth about his Grandfather and the monsters that were now haunting Jacob. He discovers that his Grandfather was telling the truth after all and that Miss Peregrine and her peculiar children were still there, living in a kind of groundhog day situation called a loop. To protect themselves from the monsters that eventually killed Jacob’s Grandfather the children were forced to hide in their loop, living out the same day on earth over and over again and never aging. Of course the monsters turn up eventually, but I shouldn’t get too far into that at the risk of spoiling the story. Unless I’m the only person who hasn’t already read this novel? That could be a distinct possibility! Miss Peregrine’s Home for Peculiar Children had quite a dark and Gothic feel to it and that feeling was enhanced by the inclusion of original photographs. I highly recommend purchasing a physical copy of this novel to truly appreciate the creep factor of them. Its also fascinating to note that ‘photoshopping’ images is such an old practice. I think its something that a lot of people consider to be a new thing, but people have been photoshopping weird things into their photos for a long time! I thoroughly enjoyed this novel and am eagerly anticipating the sequel, Hollow City.